The Matrix Energetics process starts with a gentle light touch and the power of focused intent and builds into a new and joy-filled state that affects life changes. The Matrix Energetics practitioner places his or her hands on your clothed body—in person or at a distance. The practitioner connects with you on an energetic level, goes into a very peaceful space, and together you and the practitioner allow a power greater than yourselves to come through. A doorway to infinite potential beckons. The intent is transformation for your highest good. Something always happens and it’s always good. Often you will see and feel a wave like motion when Matrix Energetics is applied, as you experience a flowing wave of transformation. 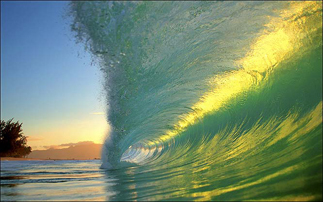 Your body drops into a completely relaxed wave instantly. This can happen standing up, sitting down, or laying on a table. A session creates a unique and magical environment in which anything is possible. You shed your preconceptions and limiting concepts to enter a highly supportive playground for your consciousness. Once your rational left brain realizes that Matrix Energetics is based on key concepts in Quantum Physics, some of the “old guard” mind can let go of it’s precarious hold on reality. This old, narrow, limited perspective is replaced with an often gleeful—and frequently outrageous—sense of fun. You’re often pleasantly surprised at how your problems seem less demanding and overwhelming after spending an hour immersed in the expansive adventure of creating new solutions to old and outmoded ways of thinking and being. Healing—and every form of transformation—takes place within the hallowed grounds of the Matrix Energetics space. You’ve set aside some quality time from the insistent pull of worldly concerns. In the environment of just such a “Sacred Space” you can re-create all of the elements of your life, discarding here, adding there. The Matrix Energetics approach is about transforming your beliefs concerning healing, disease and the structure of reality. It sometimes appears magical in its expression but is based on the laws and expression of subtle energy physics and the concepts and laws of quantum physics, superstring theory and Sheldrake’s Morphic Resonance. This approach is a pathway to transformation. This transformation takes place by communicating at the quantum level with the wave fronts (energy and information) that create all of reality. Matrix Energetics is a previously undiscovered, intent driven, universal expression of energy which is harmonious with the concepts and laws of quantum physics,” according to Dr. Richard Bartlett, creator, and founder.